If you have customers complaining that some parts of their home or business don’t heat and cool at the same rate as others, recommend a Honeywell zoning system instead of dealing with the costs and headaches of incorporating new equipment into a forced air system. Honeywell’s zoning solutions are a great way to offer enhanced functionality, efficiency, and comfort to your customers with forced air systems. With a properly designed Honeywell zoning system, your customers will enjoy more consistent comfort throughout their space while using less energy. Honeywell zoning systems are also easy to customize and install, making them an excellent fit for nearly any application. There are straightforward options for two, three, and four zone systems with support for both furnaces and heat pumps. Every Honeywell zoning system is going to consist of at least one zoning panel, one damper, and one thermostat. The right zoning panel will depend on the application. The HZ311 is perfect for conventional, single-stage systems of up to three zones with wired thermostats. Stepping up to the HZ322 gets you compatibility with heat pumps, two-stage systems, wireless thermostats, and RedLINK communications. Finally, the HZ432 supports four zones of 3H/2C comfort and dual-fuel compatibility. Like the HZ322, the HZ432 may be used with Honeywell RedLINK devices and equipment. All zoning panels are available in a kit including a transformer and a discharge air temperature sensor in addition to being sold individually. Damper selection is going to depend on the size and shape of the ducts in the space being zoned. RRD Series dampers are round models most typically used in retrofits. ARD Series dampers are also for round ducts, but these models are available in a wider range of sizes. For rectangular ducts, the ZD Series offers reliable power-close, spring-open options. CPRD Series bypass dampers are also available to help you keep the pressure in the system balanced. Honeywell zoning systems are very flexible when it comes to thermostats. Programmable and non-programmable models can be mixed and matched as the application demands it. Wireless RedLINK thermostats can be used with the HZ322 and HZ432 panels provided that a THM4000R1000 wireless adapter is also installed. If you do opt for RedLINK thermostats, a THM6000R1002 internet gateway allows them to be remotely controlled from any device with an internet connection. 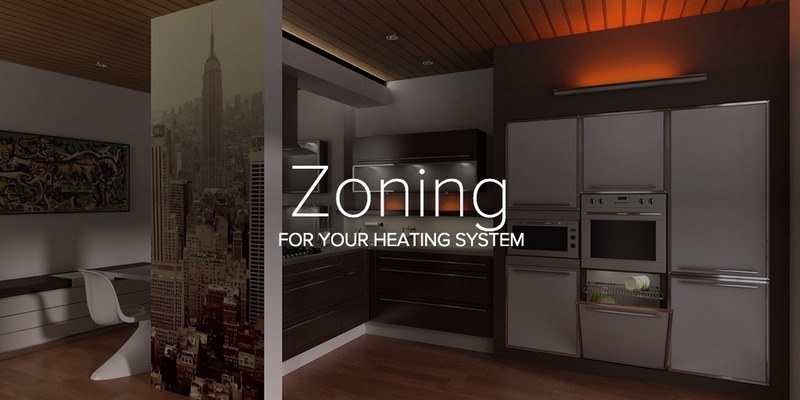 Honeywell forced air zoning systems are the perfect solution for spaces with uneven temperatures, new additions, or homes that could just stand to be more comfortable. By dividing a home into zones that are all served by the same equipment, your customers will see both immediate and long-term savings. To check out the products discussed today, just click the link below.